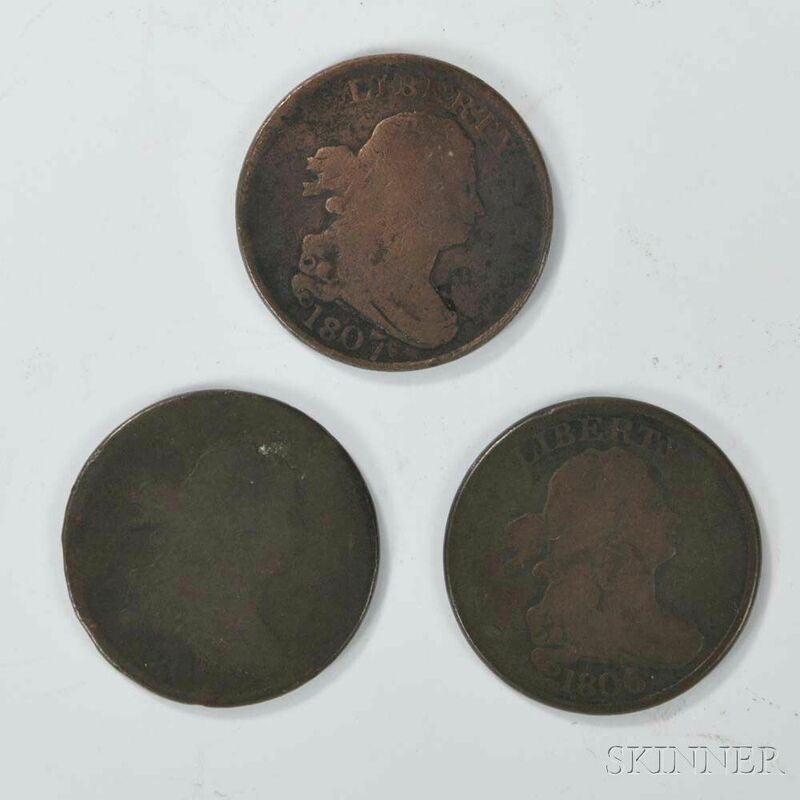 Three Draped Bust Half Cents, an 1806 large 6 with stems, approx. G, and two 1807, one approx. AG, (with dent), and one approx. 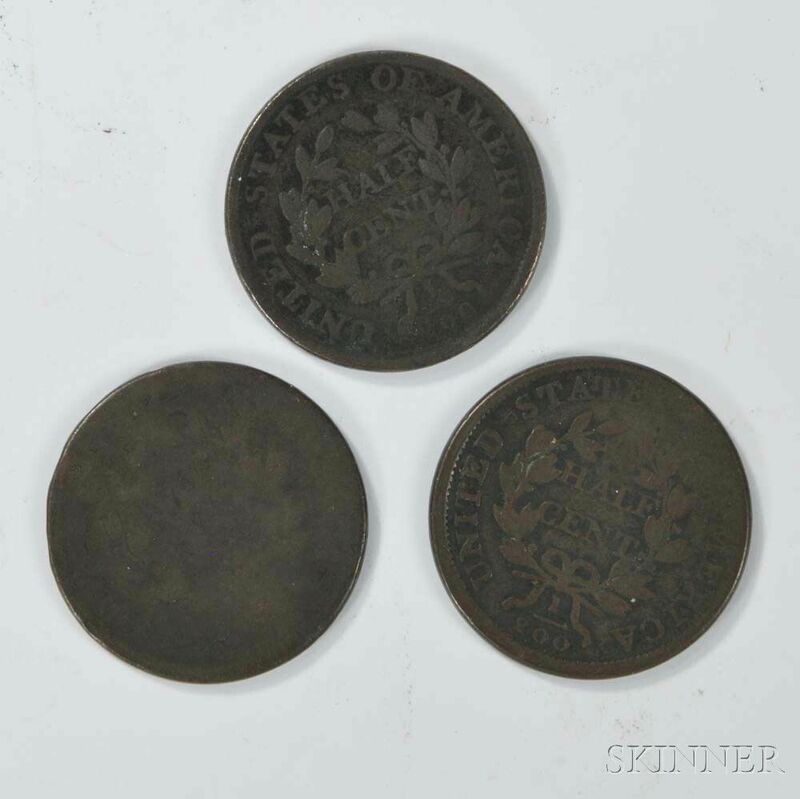 G, (obverse polished).